After showing you Peace and Plenty at Boscrowan I am ready to show you more delights of the Penwith peninsula of Cornwall where we stayed. It will be another epic post but there is so much beauty and interest in this area I feel I have little choice. We have been visiting this area for the last ten years and have our favourite spots and rituals. One of them is, on arrival, to park at Marazion and walk the causeway (low tide permitting) to the iconic St. Michael's Mount which dominates the horizon around Penzance where we stay. Each time, as we stretch our legs and breathe in the salty breeze our tensions disappear and the romance of the castle, its gardens and panoramic views cast their spell on us. The microclimate of this area fascinates me and even on a more-like-winter- than-spring-day the island was an intimate exotic paradise of subtropical plants. Another must-do-first-on-holiday essential is to visit Sennen Cove. More a bay than a cove the light sand and contrasting ombre blue sea is always stunning even when the weather is disappointing. Plenty of sand for playing and larking about on whatever your age. On a very cold Easter Monday we ventured to a new attraction, Tremenheere Sculpture Gardens, which has only been open since September 2012. 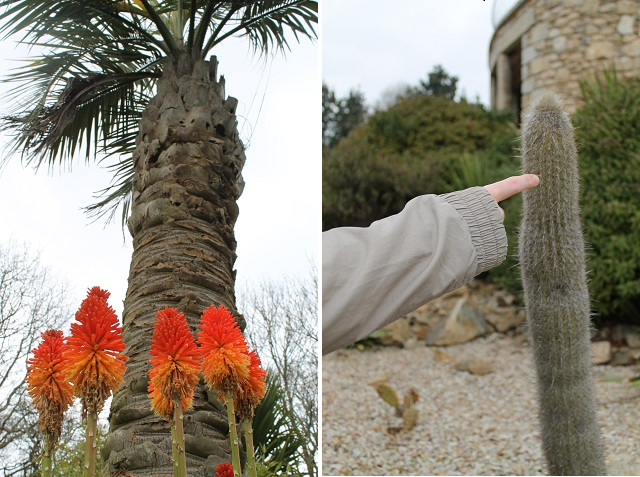 There were breathtaking views of St. Michael's Mount and a myriad of exotic plants to delight in and interact with. 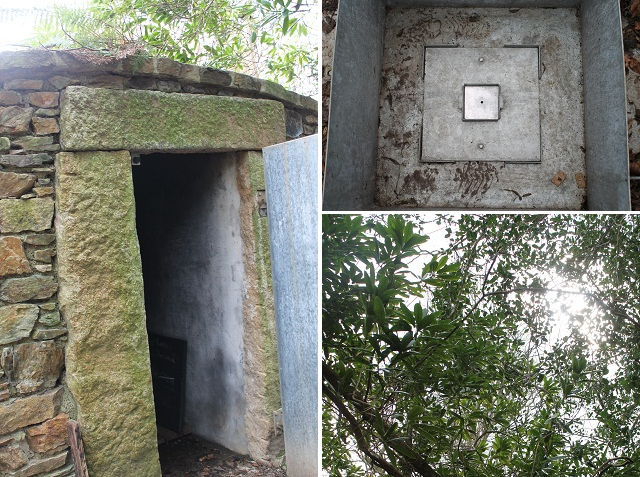 and art installations such as James Turrell's Tewlwolow Kernow, an underground room with an open skyspace window on the world. This was a great introduction to his work which was completed by the startling experience of his natural light projection Aqua Obscura. We entered a pitch black underground room, led by a guide, and had to wait for about eight minutes until our eyes could process the image of the tree lined sky that was being projected from outside via a tiny pin hole. At first we saw nothing which was quite unsettling but gradually the image became clearer to us. An amazing and hypnotic experience. Cold and bleary-eyed we headed for the garden's wonderful Lime Tree Café - we had to wait for a table but the food was worth it. We took over Tony Latimer's table - a local contemporary sculptor whose work is exhibited in the main building. A charming man he chatted openly to us about his work, life and art in Cornwall. Of course, we had to google him when we returned home and were very impressed with his work and delighted to have had the chance to speak to him. These pieces are typical of his work. There were plenty of Cornish seaside places to visit. We visited bustling St. Ives and enjoyed visiting the Tate St. Ives art gallery, watching the seagulls and walking the narrow streets. We travelled to St. Ives by train from St. Erth and enjoyed the journey which hugs the edge of the cliff around Hayle and Carbis bay and has breathtaking views of St. Ives harbour. A much greener and more pleasant way to travel than by car. On a gloriously bright but cold day we discovered Porthleven, a small town and fishing port, so pretty and for a change not too hilly. 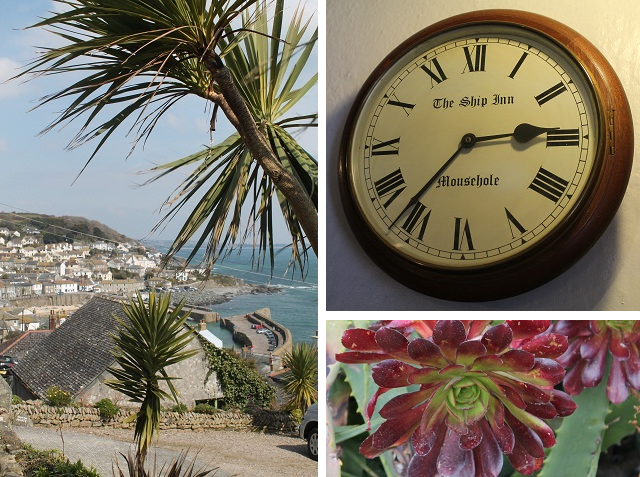 We have stayed at the charming Cornish village of Mousehole (pronounced 'Mowzel') before and always pay a visit when we are in the area. We walked some of the coastal path around Mousehole which was a challenge for us and fun for the boys. A drink in The Ship Inn certainly felt well-deserved afterwards. It's a proper Cornish pub with much seafaring talk at the bar. And I love the terraced cottages that are huddled together - I imagined myself living there! We mainly ate at the barn each evening but we had a few lunches out and stops for coffee and cake to keep warm. However, we had an evening meal out for our son's eighteenth birthday at The Mackerel Sky Café in Penzance. A real treat for fish lovers (my son, not me) and good unpretentious food just as we like it. On our last day we headed towards Land's End. En route we visited the Merry Maidens a perfectly preserved stone circle probably dating from the Bronze Age. The stone circle would have been used in pagan ceremonies and legend has it that the maidens were a group of girls turned to stone for dancing and merrymaking on the Sabbath. Further on we spent some time on Porthcurno Beach which is just about three miles from Land's End. It is a lovely sheltered beach with ravishing blue seas and sky. Close by is The Minack Theatre an open-air theatre with a stunning backdrop. Watching a play and enjoying a picnic here is on our holiday to do list. Well, you've got to have a reason to come back haven't you? There is so much more that we could have done - a visit to Trengwainton Gardens and Trewidden Gardens would have been good but a week just wasn't long enough. I knew there would be cake! Wonderful pix! Would love to visit. It's a beautiful part of the world isn't it. And what fantastic weather! We have stayed in Mousehole too. Your pictures have brought back a lot of good memories. It looks like a beautiful and interesting place to visit. I really hope to go someday. It is really beautiful there, lovely pictures! I went as a child and still have wonderful memories! Enjoy your week also. I'd really love to go to the sculpture garden sometime soon. I was really interested to see where you have visited as I'm off to Marazion this summer. I shall refer back to this post just before I go - everywhere looks fantastic. I really can't wait now! Absolutely great photos. Glad you had a good time, i too love this area of the country. You are making me want to plan a trip! O, this is very nice! I love all the pictures ( precious shots) and you get a holiday feeling. I think I shall never see that area of your country but I enjoy the pictures. 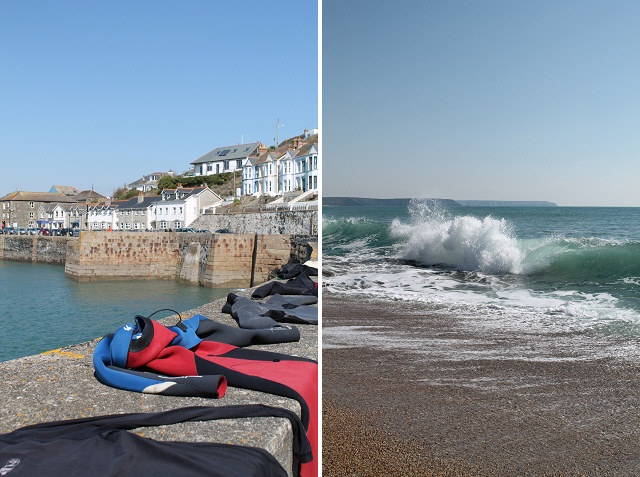 Thank you for the lovely images of Cornwall,I have some more places to visit on my list now! Unfortunately we haven't been to St Michael's Mount the tide always seems to be in when we have been down there,We love Sennen Cove and St Ives too! How did I not mention the train journey to St Ives in my last post we find this the best way to enter St Ives the views are amazing and the sea so blue! A fantastic post-lots of our favourite places-Love Porthcurno and Sennen Cove (our tradition is to walk on the beach every new year day). St Ives is lovely! I haven't been for years....your photos make me want to go back. Lovely photographs, makes me want to go now! Well it is just so lovely to see what our guests get up to when they stay here at Boscrowan! Guess the photos prove why we don't feel we need to take many holidays ourselves when we have so much on our doorstep. Fantastic trip. Lovely pictures, beautiful place... I want to go there also :) thanks for sharing such a beautiful place.